Paris, France: The Festival of Nowruz was celebrated at UNESCO headquarters in Paris, yesterday to mark the beginning of the spring. 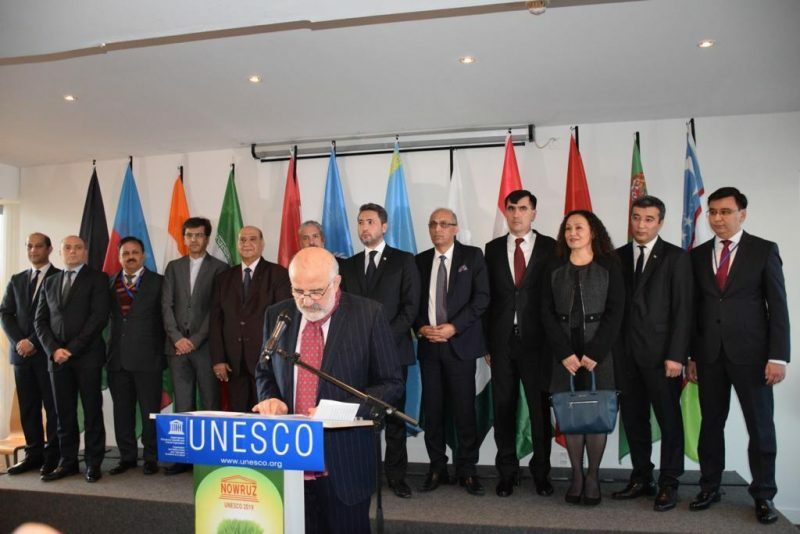 The UNESCO delegations of Afghanistan, Azerbaijan, India, Iraq, Iran, Kazakhstan, Kyrgyzstan, Pakistan, Tajikistan, Turkmenistan, Turkey and Uzbekistan organized the event to contribute to the cultural diversity and friendship among peoples and different communities. Ambassador of Pakistan to France and Pakistan’s Permanent Delegate to UNESCO Mr. Moin ul Haque represented Pakistan as one of the host countries. During the festival, the guests were entertained with cultural performances and traditional cuisine of participating countries.